Enjoy the Music.com's Musician Series focuses on legendary talents from around the world. 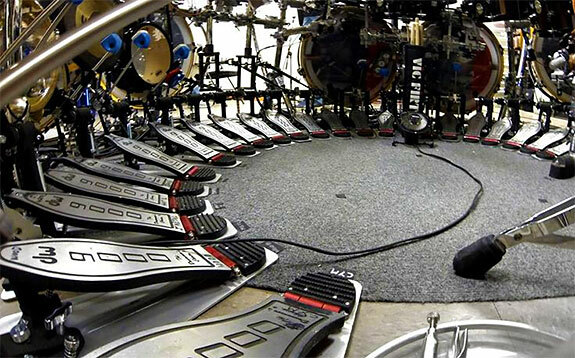 Enjoy the Music.com's special Musician Series, hosted by Creative Director Steven R. Rochlin, features artist, inventor and musician Terry Bozzio. 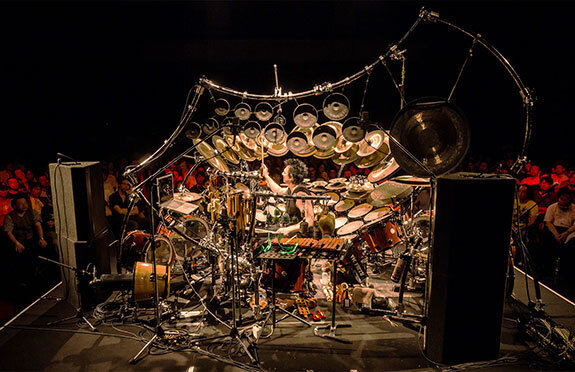 Our interview with Terry Bozzio discusses his early career, his many creative talents with inventing drum hardware, plus as a longtime legendary drummer with Frank Zappa and many others. Terry is a critically acclaimed percussionist and visual artist too! Legendary and award winning melodic drummer Terry Bozzio is releasing worldwide what he calls a "Life's Work" project of Art & Music on the Japanese label Ward Records. Please check out Terry Bozzio's latest album, Composer Series, which features Hi-Res Audio recordings showcasing Terry's many musical talents. You can buy the new Composer Series box set, which includes four CDs, Blu-ray disc and bonus DVD from Ward Records @ this link. 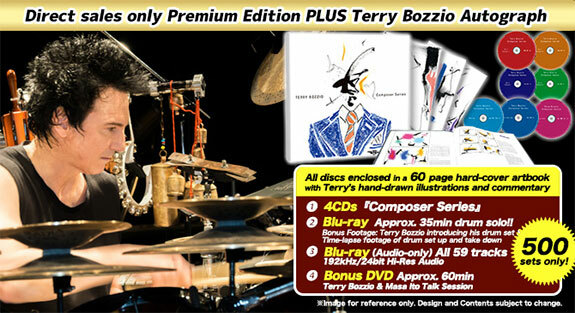 Terry Bozzio's new album includes hand drawn illustrations and commentary art for each piece, audio CDs plus a solo drum performance Blu-ray shot in Japan in 2015 with bonus footage, 192kHz/24-bit Hi-Res Audio of the 59 pieces on Blu-ray and a bonus DVD including a 60 minute talk session of Terry Bozzio with Masa Ito. The material will also be made available in CD/DVD or four CD/Blu-ray for record stores, as well as in many or individual downloadable formats online. 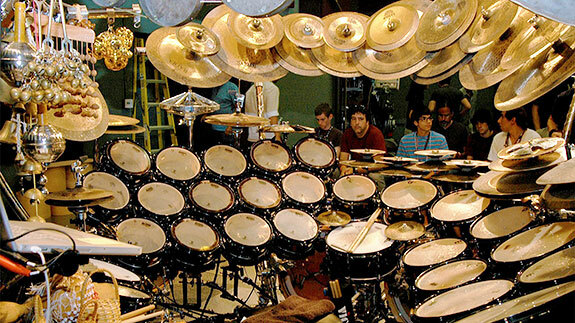 Please visit Terry Bozzio's website at this link.